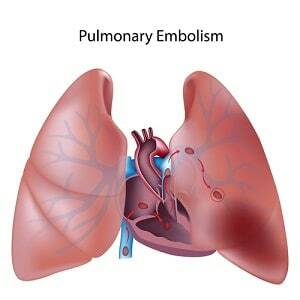 Pulmonary embolism (or "PE") is the blockage of the main artery of the lung. It is often a result of a blockage in the leg (deep vein thrombosis, DVT) which travels through the blood to the lung. A leading cause of preventable deaths during hospitalization in Maryland and Washington, D.C. is due to a pulmonary embolism. Far too often, doctors fail to suspect the possibility of pulmonary embolism and order objective testing and screening, such as a new spiral CT scan, Wells rule, and a D-dimer blood test that would lead to the diagnosis of pulmonary embolism. Have you or a loved one been injured or killed by a pulmonary embolism misdiagnosis? If so, you may be eligible for financial compensation by bringing a medical malpractice claim to recover compensation for lost wages, medical bills, and, most importantly, your pain and suffering. Fill out our free case review form today. You can also call a malpractice lawyer at 800-553-8082 and learn how we may be able to help you file a lawsuit for what you have had to endure. Pulmonary embolism and DVT are two manifestations of venous thromboembolism which has a reported annual incidence of 100-300 per 100,000 in Western countries. It is ranked as the third most prevalent cardiovascular disorder. Frequency is equal for men and women. Incidence is higher in women of child-bearing age due to the associated risk of pulmonary embolism with pregnancy and with some birth control medications, but it is higher in older men compared to older women. Incidence increases with age, ranging from a rate of 5 per 100,000 in childhood to 500-600 per 100,000 in individuals older than 75. Pulmonary embolism may result in irreversible damage to the affected lung, reduced oxygen in the blood, organ damage and death can result from lack of oxygen or a large clot. It is estimated that only 1 in 5 individuals suspected to have pulmonary embolism has the diagnosis confirmed. Diagnosis is complicated as the presentation of pulmonary embolism varies from no symptoms to cardiogenic shock. If symptoms do occur, they may include chest pain, shortness of breath or coughing up blood. Blood clot symptoms in the leg include swelling, pain, tenderness or redness of the affected location. Diagnosis is based on clinical symptoms and laboratory tests (e.g. D-dimer test) and imaging (e.g. Computed tomographic pulmonary angiography (CTPA)). CTPA is becoming the standard of care to evaluate subjects with a suspected pulmonary embolism. Treatment usually includes anticoagulant medication. In one study, researchers analyzed the Nationwide Inpatient Sample and Multiple Cause-of-Death databases and compared incidence, mortality, and complications of pulmonary embolism in the United States. Data was analyzed before and after CTPA introduction. The overwhelming majority of deaths related to pulmonary embolism are the result of overlooked and often misdiagnosed recurrent events rather than a single massive event. After the introduction of CTPA, the incidence of pulmonary embolism increased from 62.1 per 100,000 to 112.3 per 100,000. Mortality from pulmonary embolism has been steadily decreasing in recent years. Mortality rates dropped from 13.4 to 12.3 per 100,000 and reduced to 11.9 per 100,000 after the introduction of CTPA. CTPA has led to the identification of more emboli. However, this has also led to an overdiagnosis of pulmonary embolism and unnecessary treatment. Further, complication rates due to the use of anticoagulants increased by 71% after introduction of CTPA. However, if left untreated, pulmonary embolism can have a mortality rate as high as 25%. The sobering truth of PE cases is that the majority of patients who die from pulmonary embolism are patients who are never treated for pulmonary embolism. But, too often, patients with shortness of breath and other distinct risk factors for PE that read like a billboard end up with a diagnosis of a panic attack, anxiety, or something else less serious. That seems to be the problem, really, with many misdiagnosis cases. Doctors fail to rule out the worst of the potential problems and then arrive at the less severe diagnosis. It takes time and energy to take the appropriate steps to rule out more serious life-threatening problems. In a 2015 study, researchers found just how easy a pulmonary embolism can be to diagnose if the doctors see what is there to be seen. A chest x-ray might help a physician rule out pulmonary embolism because there are no changes in the blood vessel patterns after embolism and signs of pulmonary infarction. So might a blood test, an electrocardiogram, d-dimer, and ultrasound, pulmonary angiography, lung perfusion scan, or a CT angiogram. Sometimes the easy answer, "Oh, she's anxious and hyperventilating, there is no need to look any further" leads to failure to accurately diagnose medical malpractice lawsuits. A study published in the Archives of Internal Medicine (2000), explored physicians' attitudes toward the misdiagnosis of pulmonary embolism and treatment of patients. The results of the study indicated that physicians might provide treatment for pulmonary embolism without confirmation of an embolus rather than take a chance in missing a case of pulmonary embolism. Sometimes doctors don't appreciate the significance of the risk factor they ignore. The main reasons for misdiagnosis of pulmonary embolism include low awareness of risk factors by physicians, variability in patient symptoms, misinterpretation of tests, and atypical clinical manifestations. Radiologists must ensure the quality of the CTPA study and if pulmonary embolism is present. Any uncertainty should be stated as such and additional imaging should be requested if appropriate. Another study evaluated the use of diagnostic flowcharts used in the management of pulmonary embolism, pointing to its potential in misdiagnosis. The authors commented on the complexity of the algorithm which includes several consecutive tests. The algorithm states that chest X-rays found to be normal are generally followed by ventilation-perfusion (V/Q). Where non-high V/Q is reported, patients should receive a CTPA. The study found that this algorithm was only used properly in 74% of patients studied. Misuse of the algorithm may lead to a delay in establishing or excluding pulmonary embolism, delays in treatment or unnecessary treatment. Here is a simpler statistic that puts the PE misdiagnosis problem in even better context. Approximately 21 percent of otherwise healthy young people with pleuritic chest pain -- sudden sharp, stabbing, burning or dull pain -- without no known risk factors for pulmonary embolism that present to an emergency department just with only that type of pain, in fact, have a pulmonary embolism. With a greater than 1 in 5 chance, you really want to rule out a PE, right? Closely monitoring of the patient in a telemetry setting. Below are some example case results in PE malpractice claims. These are educational and, in some cases, illustrative of the value of cases with similar fact patterns. But keep in mind no two cases are entirely alike. Someone getting a verdict that sounds similar to yours does not mean that you will get the same outcome. June 2015, New York: $770,000 Verdict: A morbidly obese 49-year-old bus dispatcher who smokes is being treated by an orthopedic surgeon. Because of a fall at home, he suffers knee injuries require the use of crutches. The orthopedist does not institute anti-coagulation therapy in spite of the risk of a DVT/PE. He dies of pulmonary embolism. His family argues that blood thinners should have been prescribed, and the man subsequent cardiopulmonary arrest and death would have been avoided he was appropriately treated with anticoagulant therapy. The jury award $770,000, including $350,000 for pain and suffering, $310,000 for loss of financial assistance, $100,000 for wrongful death, and $10,000 for funeral and burial expenses. If this verdict seems unbelievably low to you, it is because it is. You have to think this was some compromise verdict. June 2013, Illinois: $800,000 Settlement: A sixteen-year-old girl is 39 weeks pregnant and arrives at the hospital to deliver her child. Although the girl is not in active labor, the treating obstetrician chooses to give her an epidural. The epidural is monitored by an anesthesiologist. After 36 hours of monitoring, she begins labor. Unfortunately, as soon as labor begins she starts to code. The baby is delivered – a healthy child, thankfully – but the young mother dies from a pulmonary embolism due to a blood clot in her left leg. The young girl’s family sues on her behalf against the hospital and the treating physicians for medical malpractice. Plaintiff’s counsel claims the young girl had a high-risk factor for developing blood clots as she was immobilized for 36 hours, overweight, and displayed signs of her legs swelling. Accordingly, the obstetrician improperly ordered the epidural and should have given her compression boots to prevent her from developing a blood clot. Plaintiff’s counsel also alleges that the anesthesiologist failed to communicate with the obstetrician about the risk of administering an epidural for an extended period. The defendants argue that the standard of care did not require the doctors to reduce the epidural over a 36-hour time frame. They also claim an issue of disputed fact: they were following the request of the girl, who wished to have a vaginal birth, and immediately began an emergency C-section the moment she began to seize. The parties resolve this claim before trial for $800,000. November 2012, Pennsylvania: $310,000 Settlement: A 50-year-old man begins to experience slurred speech and collapses while at work. He is rushed to a hospital emergency room via ambulance where the defendant physician performs an exam and EKG. The man is diagnosed with chest pains likely secondary to pleurisy or costochondritis and is discharged after a few days in the hospital. Six days pass, and the man begins to feel similar symptoms and hastily dials 911 from his home. The paramedics arrived but diagnose the man with a panic attack and inform him that his condition does not warrant medical transportation and leave. The distressed man then calls his friend to inform him of the transportation refusal. The friend arrives shortly after that to take him to the ER, only to find him without a pulse and unconscious. The man is pronounced dead at the emergency room from a pulmonary embolism. A wrongful death and survival action ensue. This is a classic differential diagnosis case. Plaintiff argues the doctor and hospital should have ruled out a pulmonary embolism and failed to do a proper work up evaluation. They also brought suit to the ambulance company for negligence in concluding the decedent’s symptoms were caused by anxiety without consulting a doctor. The physician and hospital deny liability and claim that all care provided to the decedent followed medical standards. The ambulance company also denies liability and claim that it was the decedent who refused transportation to the hospital. The parties choose to settle their dispute for $310,000, underscoring some of the weaknesses in the family’s claim. June 2012, Virginia: $1,700,000 Settlement: A 49-year-old man receives arthroscopic surgery that includes reconstruction of the ACL. He has a history of deep vein thrombosis from a previous knee surgery. He was placed on anticoagulants after his first surgery but is not placed on the medication following the second surgery. Six days after the second surgery, the recovering man collapses after experiencing chest pains and difficulty breathing and is quickly transported to the hospital. Unfortunately, the man is declared dead shortly after arrival. Plaintiff alleges the defendant was negligent in failing to prescribe an anticoagulant medication following his second surgery. Plaintiff’s medical experts believe the decedent died from a pulmonary embolism, using cardiac monitoring strips and the man's physical evaluation to support their lawsuit. The defendant contends the man died from a heart attack and that the standard of care did not require the decedent be placed on anticoagulation medication. The parties reach a resolution before trial for $1,700,000. May 2012, New Jersey: $1,045,000 Verdict: A 44-year-old father of three (with a fourth on the way) arrives in the emergency room with shortness of breath and intermittent chest pains that have been occurring for the past several days. Before his arrival, the man had used a walking boot for several weeks and informed the emergency room nurse of such. He is discharged with a diagnosis of a virus. Unfortunately, the father-to-be dies the following morning of pulmonary embolism. Plaintiff’s counsel establishes the nurse had recorded the history of the decedent’s boot. Had the defendant read the entry, he would have known the patient was at a higher risk of a pulmonary embolism. They contend that a differential diagnosis of a pulmonary embolism should have been considered and the patient should have been admitted and tested. Plaintiff’s expert present studies have shown that 90% of individuals who receive treatment for pulmonary embolism recover – indicating that had the defendant considered a pulmonary embolism; the man’s children would have been able to grow up with a father. The defendant denies the decedent had a pulmonary embolism when he arrived at the emergency room and that the embolism developed the next morning shortly before his death. The defense also argues that a patient suffering from a pulmonary embolism only has a 10% chance of surviving. The jury found in favor for the plaintiff and awarded $1,045,000. June 2011, Maryland: $6,116,000 Verdict: A young man arrives in the emergency room with a low-grade temperature, cough, and dizziness. He is treated by the defendant where he is given a differential diagnosis that includes pneumonia, congestive heart failure, and pulmonary embolism. The defendant conducts an EKG, chest X-ray, and labs, and concludes the man is suffering from pneumonia and has him transferred to a second hospital. Although the hospital is alerted of the plaintiff’s arrival, he is neither evaluated by a house physician nor is he seen by the admitting physician. While left unattended with his wife by his side, the young man attempts to get out of bed only to collapse in front of her. He never regains consciousness and is pronounced dead. The cause of death is noted as a pulmonary embolism and confirmed by an autopsy. Plaintiffs allege the defendants were negligent in failing to diagnose timely and treat a pulmonary embolism. They claim that had the defendants treated the pulmonary embolism with anticoagulation therapy, his chances of survival would have been at almost 95%. The jury finds for the plaintiffs and awards $6,116,000. 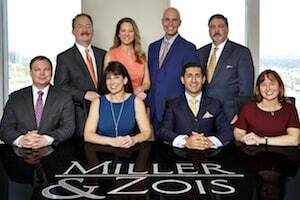 If you believe you have been a victim of medical negligence in Maryland as the result of a doctor's failure to properly diagnose you real injury, call 800-553-8082 or get a free online medical malpractice consultation. This is a 2017 wrongful death lawsuit filed against the U.S. Army in Frederick for failure to diagnose a pulmonary embolism in a 48-year-old woman. Here is a PE case where the ER doctors nail the diagnosis but get sued for failing to give proper care once the embolism was found. Another lawsuit involving a blood clot that went undiagnosed on the Eastern Shore.